Workshops were a big success! Students enjoyed our recent collograph, mono print, block print and etching workshops, and we noticed a particular appreciation for the Open Studio Mondays that followed each weekend course. 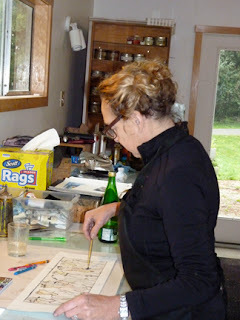 The extra studio time was enjoyed by all—good music, good company, and great art! We will definitely be offering additional courses. Feel free to email us with your suggestions or requests for future sessions! Based on the response to our recent demonstrations and responses to our survey, we've designed a course schedule for the coming month. 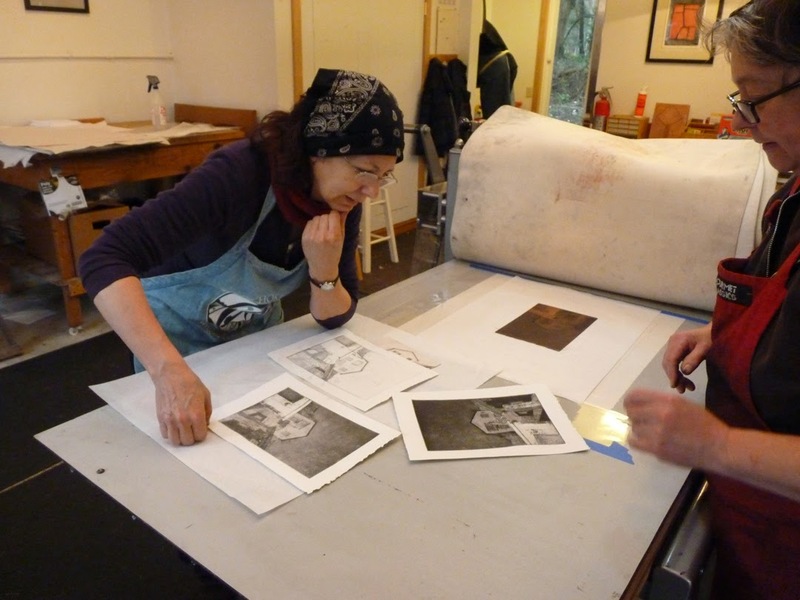 Weekend workshops will run Saturday and Sunday from 10 to 3; participants will be offered use of the print facility on the following Monday for further independent work. Class sizes will range from a minimum of 3 students to a maximum of 7. Classes will be filled on a first-come, first-serve basis. The cost for classes is $90, plus an additional material fee (varies by class; see list for details). This rate includes instruction time with both Buffy and Bruce, two weekend days, and extra shop time on Monday. All classes will be held at Flicker Feather Press, 3138 Hugh Taylor Ln. Clinton WA 98236. Class registration is now open; a $20 deposit will hold your spot. Please indicate which class you would like to register for at the time of sign-up. If the classes fill to capacity, we will consider running a second series later in the spring. Free "Intro to Printmaking" course, January 18. Greetings from Flicker Feather Press! To all you print enthusiasts, curious artists and thrill seekers, there’s been a healthy response to our query as to interest and a date for a introduction to print making demonstration that we would like to present. The event (by consensus) will be held from 10 a.m. to 2 p.m. Saturday, Jan. 18. 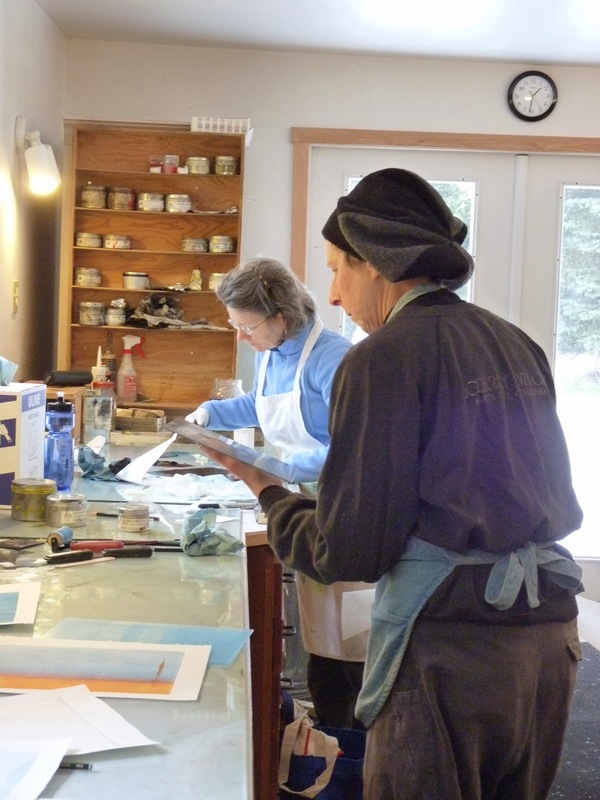 We’ll be showing examples and how-tos on etching, mono printing, block printing and colograph at our print facility Flicker Feather Press, located at 3138 Hugh Taylor Lane in Clinton, just off Sills Road. You might want to bring a lunch or something to munch on and we’ll have some chips and dip out for the after demo conversation time. If you have further questions please contact us at (360)579-85447 or by email. 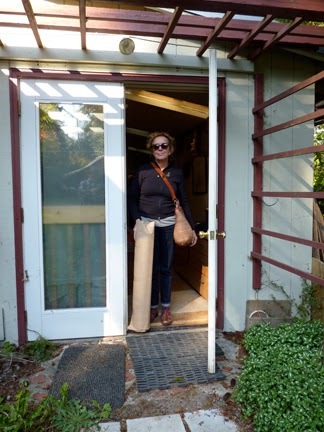 Earlier this month, we spent a delightful week hosting Sossa, a Fulbright resident artist who came to Whidbey from her home in Keflavík, Iceland. With studios in Iceland and Denmark, Sossa exibits her work throughout the world. It was our pleasure to welcome her as Flicker Feather's first artist-in-residence.